Sacramento continues its commitment to sustainability. 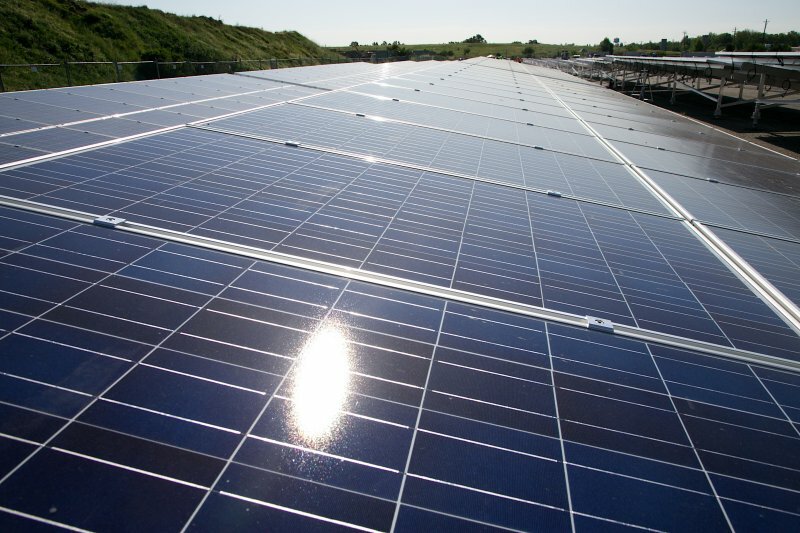 A 1.5 megawatt solar installation was recently completed at Sutter’s Landing Park. Built by Conergy, the solar installation will produce approximately 2,300 megawatts hours of solar energy annually for the Sacramento Municipal Utility District (SMUD), which will be used for residential and commercial business consumption. The solar installation is built atop the City’s former landfill and offers a covered carport over the main parking area and shaded seating areas for dog park users. In addition, planned signage will provide education about the benefits of clean solar energy production and the current effects of global warming. While the solar installation brings energy and sun protection to Sacramento residents, it presented design and construction challenges. The landfill, closed nearly 15 years, required a flexible system that could move with the ever shifting and settling ground. 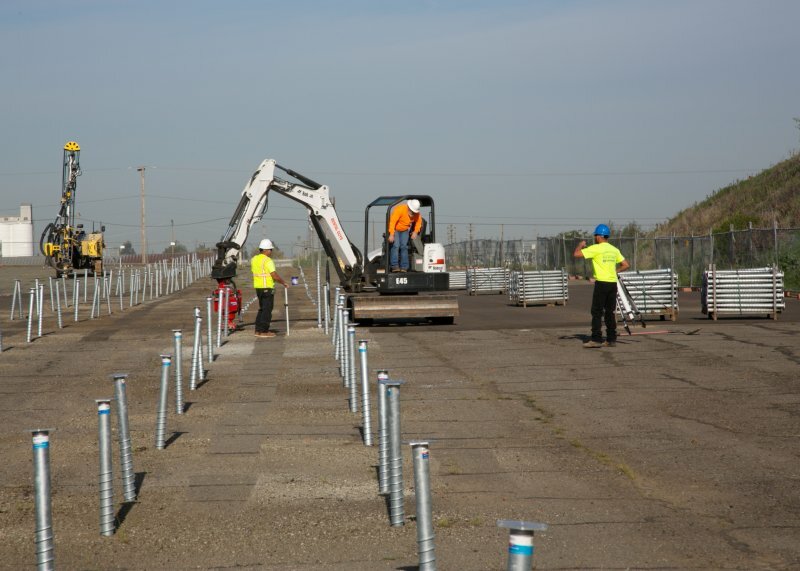 An innovative “earth screw” ballast system – tightly sealed to avoid seepage – was used to support the solar modules, eliminating the need for heavy concrete footings, which could have damaged the landfill cap. In addition, the land is home to the endangered valley elderberry longhorn beetle, and the system had to be designed and built around the bushes that protect the beetle. At peak operation, the solar installation is expected to reduce CO2 emissions by 3.5 million pounds annually and greenhouse gas emissions equal to removing 350 passenger vehicles from the road for a year. Revenue produced from the power generated for and consumed by residents and businesses will be re-invested to fund park preservation and maintenance. To find more, visit City of Sacramento, Recycling & Solid Waste.